Failing to meet the Global Fund’s replenishment target will mean more infections, more lives unnecessarily lost, more difficulties providing treatment if drug resistance gains a stronger foothold, and rapidly escalating economic costs. Those who will suffer the most from insufficient investments will be those who are most at risk: key and vulnerable populations. 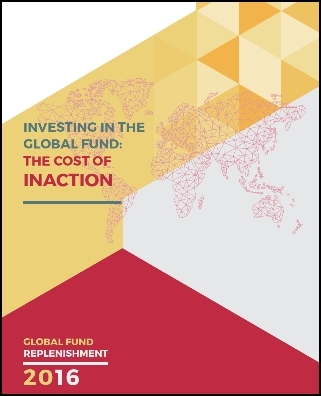 This is the message contained in a repor t released by the Global Fund Advocates Network (GFAN), entitled Investing in the Global Fund: The Cost of Inaction. The Global Fund has set a goal to raise at least $13 billion in its Fifth Replenishment, as its contribution towards the $97.5 billion in combined domestic and external funding it says is needed to fight HIV, TB, and malaria for 2017-2019. The $97.5 billion is based on the global plans of the Fund’s technical partners: UNAIDS, the STOP TB Partnership, and Roll Back Malaria. lead to broad economic gains of up to $290 billion over the coming years and decades, based on partner estimates. For HIV, the UNAIDS estimates are based on their Fast-Track Strategy, which seeks to end the epidemic by 2030 (defined as achieving a 90% reduction in new infections and deaths compared to 2010). This goal is dependent on key targets being reached by 2020. These targets include 90% of people living with HIV know their status; 90% of people tested will be on treatment; and 90% of those on treatment will be virally suppressed. According to The Cost of Inaction report, UNAIDS believes that to achieve the goal of ending the epidemic by 2030, especially in high burden countries, the pace to achieve the 2020 targets must be accelerated. The report says that maintaining coverage at 2013 levels would allow the epidemic to “outrun the response, increase the long-term need for treatment and therefore dramatically increase future costs.” It adds that if we only reach the 2020 targets in 2030, the delay would result in three million more new infections and three million more AIDS-related deaths between 2020 and 2030. The report also examines three other costs of inaction: (1) the risk that drug resistance will roll back gains; (2) the negative impact of ignoring key and vulnerable populations; and (3) the negative economic consequences. GFAN believes that key and vulnerable population networks are key to reaching the people most in need and to ending the epidemics. For HIV, we would lose the opportunity to save 21 million lives, and an additional 28 million people would be living with HIV by 2030. The number of people on treatment would be drastically reduced. The important prevention benefits that come from earlier use of ARV treatment would not be realized. Continuation of current coverage levels would mean that the world would have to pay an additional $24 billion every year for ARV therapy by 2030. A five-year delay in new investments for TB would have potentially catastrophic results, including 8.4 million additional TB cases and 1.4 million additional deaths, as well as $5.3 billion in additional TB treatment costs and $181 billion in lost productivity. If current malaria coverage levels are allowed to revert to 2007 levels, the economic costs would be staggering: $5.2 billion in direct costs to health systems and households; and $1.2 trillion in forgone economic output.